BenQ has announced the new SW240 Color Accurate Monitor which is the latest addition to the SW PhotoVue family. BenQ SW240 is a 24-inch 1080p 10-bit IPS display that will sit below the 27-inch QHD SW2700PT, the 27-inch UHD SW271, and the 32-inch UHD SW320, and like the rest of the lineup, is designed with photo editors in mind. The SW240 boasts 99% AdobeRGB coverage, 95% DCI-P3, a 14-bit 3D Look Up Table (LUT), hardware calibration, an ‘advanced black and white’ mode, and a color mode hotkey for switching between AdobeRGB, sRGB, and DCI-P3 while editing. The BenQ SW240 24.1? monitor is an ideal solution for photographers. The 10-bit display shows more than 1 billion colors and allows users to enjoy the smoothest color gradations of even the most detailed images. Its 14-bit 3D Look Up Table (LUT) improves RGB color blending accuracy, resulting in impeccable color reproduction, and having Delta E?2 in both Adobe RGB and sRGB color spaces gives users the truest and most representative view of the original image. 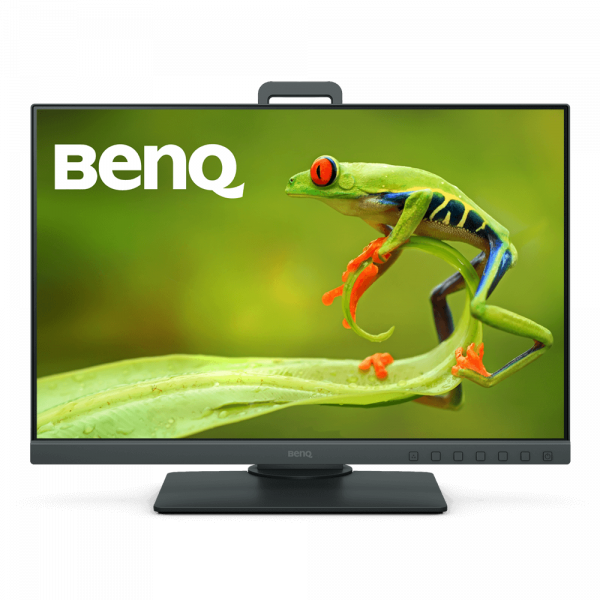 Featuring BenQ’s AQCOLOR technology, the SW240 provides out-of-the-box, factory-calibrated color accuracy with industry-standard color space to bring brilliant colors to life. The 99% Adobe RGB color space offers a greater range of color reproduction for shades of blue and green, resulting in a more realistic color representation for outdoor and nature photography as stated by the company. The SW240 hardware calibration adjusts the monitor’s image processing chip rather than the graphics card output. As a result, users are never fooled by what they’re seeing on screen and can trust that images will stay consistent with their original copies. BenQ’s SW240 features edge-to-edge ultra slim bezels, meaning that if you want to set up a dual-monitor workspace, you can. The monitor also features a new OSD hotkey (Color Mode HotKey) to switch between 3 preset color modes without having to press other OSD buttons. This monitor comes with BenQ’s exclusive Eye-Care technology which reduces eye fatigue for user comfort, enhanced productivity and workplace safety during extended use. A detachable shading hood is available as an optional accessory for the BenQ SW240 which can effectively reduce the monitor’s screen glare resulting from ambient lighting, contributing to better color accuracy required for professional work. The shading hood can be used for both portrait and landscape orientations. The SW240 will be available from August at Amazon and all leading professional photography retail outlets for Rs 39,000.